This great event cannot happen without the generious donations made. 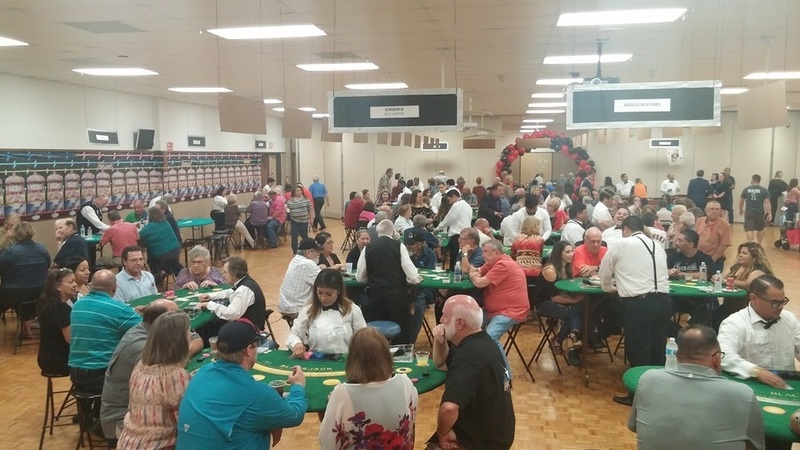 If you would like to donate an item, contribute a monetry donation or become a sponsor please visit the Casino Night Sponsorship page. The Knights of Columbus Bishop Odin Council 2917 hosts this great event each year in October. The casino games will be managed by a locally owned and professionally operated company with over twenty-five years experience. The event will also offer a Silent Auction, Raffles, numerous $25.00 gift card Door Prizes and 20 Casino Grand Prizes with a total value of $3,400.00. This charitable fund raising event was started in 2010 for the purpose of providing financial support benefiting Catholic education. Over $93,000 has been raised and donated to our three partner schools: St Pius X High School, St Rose of Lima Parish School and Assumption Parish School. 2017 Casino Night High Rollers - Will your name be here in 2018? Number of Tickets you want to purchase/reserve REQUIRED 1 2 3 4 5 6 Please fill out this field. Payment Option - Advance Tickets price is $40 REQUIRED (Select One) Pick one please Credit Card - Please call 832-865-9485 Will pay in Cash Will send Check Please fill out this field. If you selected Cash, we will be contacting you to make arrangements. All payments must be received prior to the week of the event. I agree to this purchase and understand that there are no refunds. If paying via credit card, I authorize the Knights of Columbus Council 2917 to charge my card for the number of tickets selected above at $40 each. I agree that I am the the card holder of this card and allowed to make purchases. I agree to the terms and conditions stated Please select this field.